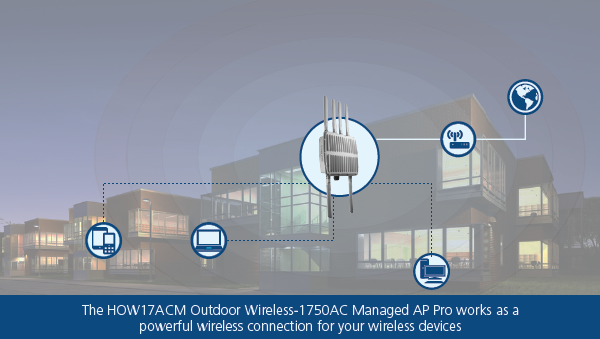 The HOW17ACM Outdoor Wireless AC1750 Access Point is a highly-reliable industrial outdoor wireless AC1750 Access Point designed to extend long range wifi coverage in outdoor environments. 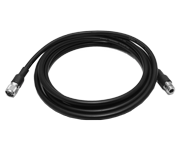 It supports IEEE 802.11a/n/ac and is backwards compatible with the IEEE 802.11b/g/n wireless network standard. Also, the HOW17ACM Outdoor Wireless AC1750 Access Point provides simultaneous operation in both the 2.4GHz and 5GHz range, giving maximum flexibility. All computers and wireless-enabled network devices (including tablets, smartphone, ultrabooks, smart tvs, etc.) can connect to this wireless access point. IEEE 802.11ac wireless connectivity also gives you transfer speeds up to 1750Mbps! 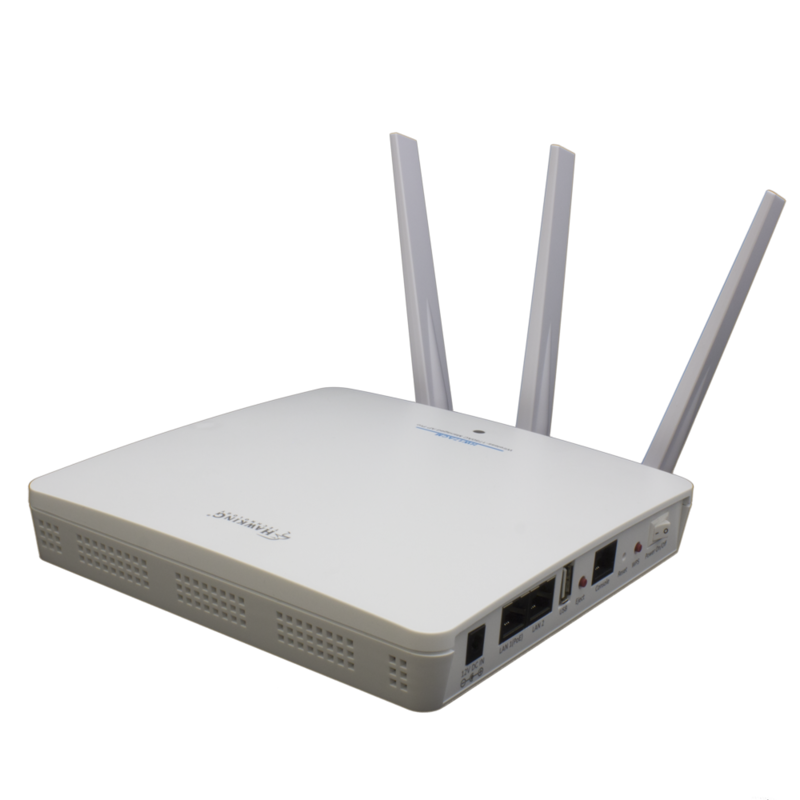 The HOW17ACM Outdoor Wireless AC1750 Access Point allows computers and network devices to gain long range wifi coverage throughout their networking environment. Quickly configure your HOW17ACM Outdoor Wireless AC1750 Access Point with any Mac or Windows computer through your web browser, no software installation required! 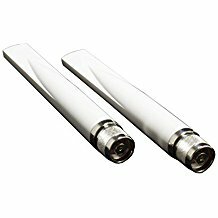 The versatile wall/pole mounting hardware included provides easy setup options for the HOW17ACM Outdoor Wireless AC1750 Access Point. 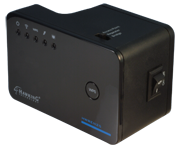 Power over Ethernet (PoE) capable means you have the flexibility to mount the HOW17ACM anywhere without being near an AC outlet. With an industrial standard IP67 rated enclosure, the HOW17ACM Outdoor Wireless AC1750 Access Point works in challenging outdoor weather conditions such as heavy rain, heat, snow and smoke. Standard Wireless-AC dictates that the trade off for super fast AC speeds is a proportional decrease in wireless range. Hawking Technology has developed this device to provide the same super speeds typical of Wireless-AC, but also provide concurrent 2.4GHz support via Access Point to offset this range decrease. 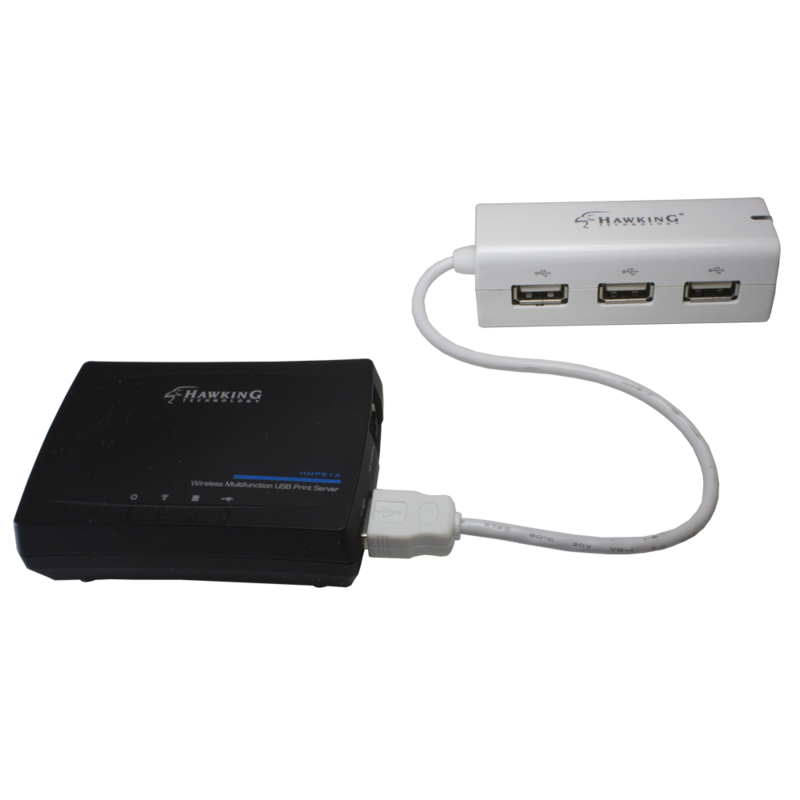 Use this device with any combination of our Wireless-AC products, even with the devices you already have, and increase your overall wireless network quality. 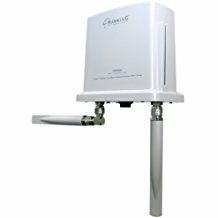 The HOW17ACM Outdoor Wireless AC1750 Access Point is quick and easy to install using any Mac or Windows computer. Simply connect the HOW17ACM to your computer, open your web browser, log into the setup page and configure. 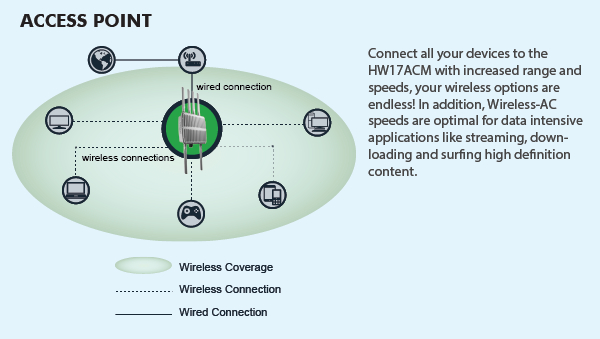 Connect the HOW17ACM Outdoor Wireless AC1750 Access Point to the router or PoE Switch with an Ethernet cable and instantly boost your wireless network speeds up to 1750Mbps! The HOW17ACM uses PoE. This feature provides flexibility in mounting conditions, allowing you to install in many differnet places with the included mounting kits. 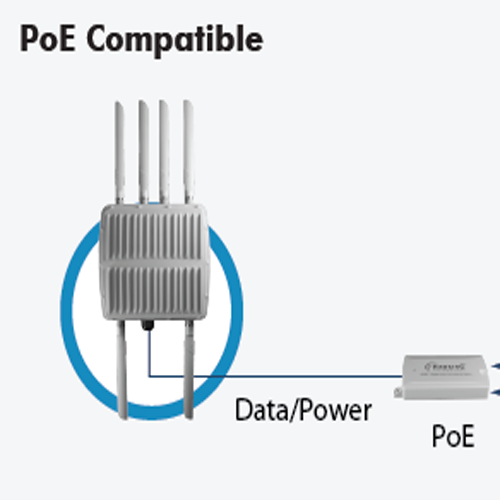 It supports PoE protocol 802.3at. The HOW17ACM Outdoor Wireless AC1750 Access Point has a wall/pole mount kit that lets you quickly and easily mount the device. Flexibility of installation allows you to place the unit anywhere to give yuo maximum speed and bandwidth.